Have you ever been in a situation where you had the opportunity to share with someone with what you could do for them, but you only had 30 seconds to do so? Welcome to the world of networking and more importantly entrepreneurship. Having a solid elevator pitch is essential if you want to easily generate leads and close more sales. The truth is that is many entrepreneurs mess this up, but hopefully after reading this post you will not be challenged with that anymore. When someone asks you for this specific piece of information, their goal is to get an idea about who you are, and what you can do for them, or anyone else in their network so they can send you referrals. Coming up with a compelling elevator pitch is a process, but once you figure out what works best with you, and test it out on a few people…making tweaks along the way, your pitch will be at the point where you can literally generate business out of thin air when used in the right settings. Once you come up with one elevator pitch (the process is shown below), test it out on a few people at networking events, and see how individuals respond when you respond. If you don’t get any positive responses, go back and tweak the pitch a little so that it creates the response that you want in the other person (them wanting more information about working with you, or inquiring about setting up a meeting). No matter what business you are in, it is essential that you have an effective elevator pitch to help you sell your product, service or idea. Once you create the perfect elevator speech, use it on as many qualified people you can speak to. As you continually take the right action getting in front of people, in person or online, you will find a rhythm in using it over and over again as you push your business and career forward. Below is the process I follow when creating an elevator speech for myself, or a client I am working with. (I am going to show you the process I went through for myself to get to my current elevator speech I am using). Write down this formula and start filling in the blanks customizing it to your business. Secret Elevator Pitch Formula – I am in the _____________ (XYZ business), and I help _______________ (specific market) _______________________________ (insert most compelling benefit that encompasses what you do that would be valuable for the person on the receiving end of this statement). Example – (For Product) – I am in the toy business, and I created a product for children that effectively teaches them their ABC’s in less than 5 minutes without any work on the parents part no matter what age the child is. One thing you want to make sure is that you want this to be as compelling as possible, so always place yourself on the receiving end of this statement as your market, and if it doesn’t make you curious to ask the person who says it to you more questions…keep working…you will get it…it will just take time! Variation #1 (Person) – I am in the marketing business, and I help entrepreneurs increase the size of their e-mail list while also helping them make more sales on autopilot with less effort. Variation #2 (Person) – I am in the marketing business, and I help entrepreneurs increase the traffic through their website using free methods that helps them generate more leads and sales on autopilot. Variation #3 (My Current Pitch) – I am in the marketing business, and I help entrepreneurs increase their sales without requiring them to increase the size of their marketing budget. Q1: How do you do this? A1: I first examine all of the marketing that the client is doing, and then find the holes in all of their marketing processes. Once I thoroughly look at every marketing asset they are using, and what they are exactly doing, I provide the recommendations and implementation necessary that will help them achieve the results that they are wanting to create…which more often than not is increasing their sales without increasing their budget. Most of the time clients are doing a lot of things right, but there are crucial parts to their marketing processes that need to be improved, or just plain revamped altogether to generate the best result. I help them with that and marry their entire process together so it runs seamlessly and more importantly gets results. Q2: Who have you worked with, and what specific results did you create? A2: I have worked with a manufacturer who sells direct through their website and within the retail channel, and helped them increase their direct to consumer sales through their website by 25%. I’ve worked with a celebrity nutritionist and created a lead generation and sales process that converted at 6.5% for her weight loss system. One last client that I worked with was a New York Times bestselling author, and the last I spoke with them their business is at the capacity where they can’t take on anymore clients. I have also worked with clients where I have helped them generate 20,000-70,000 visitors a month through their website using only free methods. (There are more questions that I have written down on my elevator pitch planning sheet, but these are the two core ones that I get most often). As you can see, being prepared with your elevator pitch is half the battle. With answers like these, and 100% 3rd party verification to back everything up, more likely than not if I am in the right setting the person who is exposed to all of this will want to set a time for a call with me, or an in person meeting to talk about how I can help them. Knowing how to frame and package yourself in your elevator pitch, and then anticipating what people are going to ask you after delivering your elevator pitch, is truly the key to mastering the use of your elevator speech. Start at the top of this blog post and read it from top to bottom…following the step by step process so that you can craft an effective elevator pitch of your own so you can start increasing your sales! Fantastic post! This is what I try to employ in my own business, in terms of having a pitch that speaks to the results you provide for your clients and not just the services you provide. There is a subtle but distinct difference. They way that you detail how you came up with your ‘elevator pitch’ makes me want to re-examine mine and share this article with my clients to help them to think about theirs in this way too. Thank you for writing and sharing this post with us. So your point on being prepared can really benefit those who read this and put it into action. I’ve started this process and have put it off for too long. Thanks to this, I’ll get to work on it. 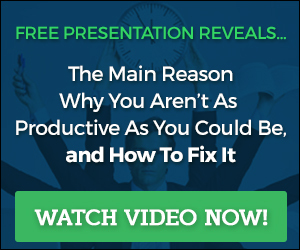 Eric – that is so interesting that the sales person said “you need to watch a presentation on our site.” That just is amazing. 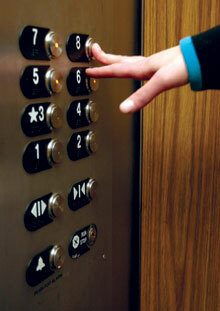 Let me know what you come up with for your elevator pitch! I look forward to seeing how it turns out! Thanks for the tips Scott. Personally, the pitch is something that I’ve always been awful with. When asked what I do for a living I tend to either end up rambling on for too long or answer too vaguely. I’ll follow your steps and put something together that works. You are welcome Paul! Thanks for the comment! When you figure it out let me know. Feel free to post it here, so I can see what you come up with! Thank you Jeannette for the comment. I really appreciate you taking the time to add to this. I agree with you on the visual. I still have mine that you and I created over a year ago! And yes, it’s still relevant, but I do change it up on a whim. Thank you! Donna that is so awesome! What is it again?! You are welcome Davida. Most definitely! I appreciate you leaving a comment! I would like to develop a 3 minute elevator speech. Being a recruitment consultant, I find it quite monotonus repeating the same old speech to my clients. Could you bring in some creative ideas as to how i can come out with creative customised presentations. You got great ideas here. Thanks for the tips. By the way, don’t you think it is also possible for a Stairs Speech to work during that time? I believe there are still people who can’t manage to deliver the 30-seconder elevator speech that effective (I, myself is guilty of this) Taking the stairs is also one way to develop a business relationship with someone. If you come at someone too strongly, they will be probably put off and run the other way. Hope you can also come up with a post that discusses how to make a Stairs Speech more effective. That would be a big help for me and for anyone else out there. Thanks again. Yes you can definitely use the stairs as well. I would just modify it by starting with breaking the ice with small talk, and then casually asking them where they work in the building and what they do. You can follow the process then! In regards to “coming off too strongly,” you have to find the balance in your tone and delivery so that it lands how you want it to for the other person. Hope that helps! Please let me know if I wasn’t clear. I really appreciate your response Scott. I’ll keep those tips with me. You can actually choose whichever of the two, you just need to find balance in your tone and delivery, like you said. So, thank you for that. Wishing you the best! Great article. It’s so important to always be on our A game. I think we’ve all been in the position where we could have done a better job promoting ourselves and our businesses. Pre planning and developping an elevator pitch is something so simple yet so easily and often overlooked. You are very welcome Nadine. Have a fantastic rest of the day! Next post: What is An Autoresponder and Why Do I Need One?